Excerpted from the book Fearless Genius: The Digital Revolution in Silicon Valley 1985-2000 by Doug Menuez, Atria Books. 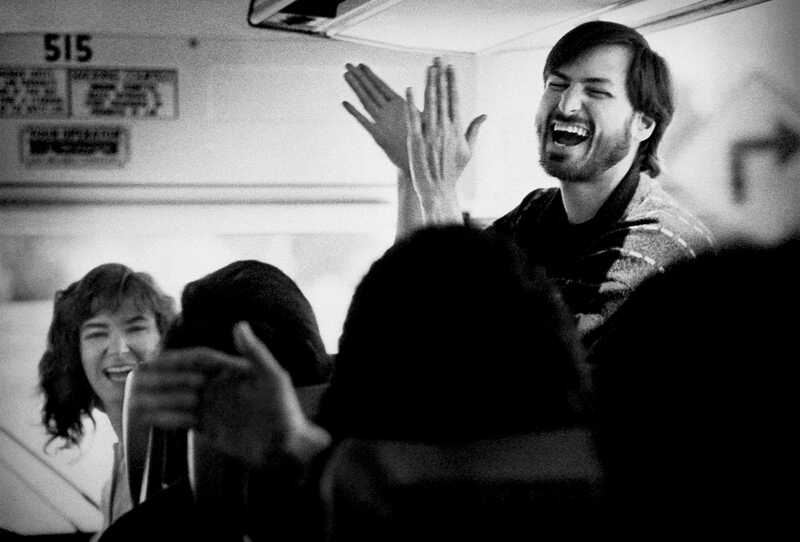 Foreword by Elliott Erwitt, Introduction by Kurt Andersen.Steve Jobs rides a school bus with NeXT employees in 1987. The 1980s and 1990s were a pivotal time for innovation in Silicon Valley. In 1981, shortly after Apple released the Apple 1, IBM introduced the first PC. A few years later, the World Wide Web would be born. Documentary photographer Doug Menuez happened to be in Silicon Valley at the time. He had done freelance work with major publications like Fortune and TIME, but he found that tech companies were difficult to crack. 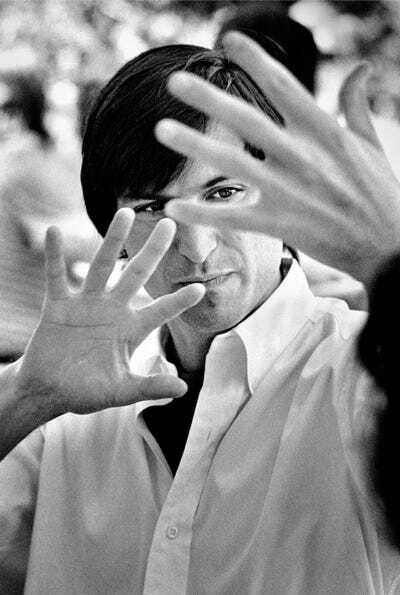 In 1985, shortly after Steve Jobs was ousted from Apple, Menuez asked if he could document the Apple founder’s new venture, a personal computing company he called NeXT. To his surprise, Jobs agreed. Menuez spent the next three years documenting what was happening inside the young company. Life magazine would underwrite and publish the photos. Once word got out that the notoriously private Jobs had granted Menuez access to his fledgling company, other Silicon Valley leaders followed suit. Over the next 15 years, Menuez would spend time photographing intimate scenes at some of the most influential tech companies in the world. 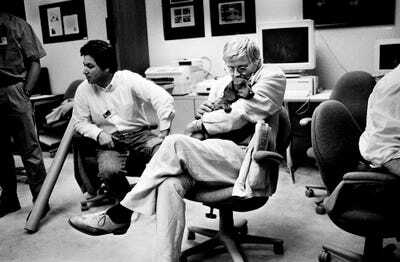 Menuez has assembled his work from that period in a book called “Fearless Genius: The Digital Revolution in Silicon Valley,” which Atria Books published in June. “Fearless Genius” features stark, black-and-white photos that capture influential personalities. 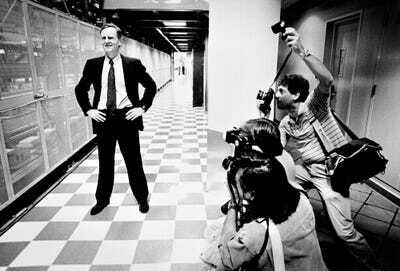 In 1990, Menuez photographed then-Apple CEO John Sculley before a press event in 1990. Sculley was shy, and he seemed withdrawn to reporters. “He didn’t get credit for a lot of important things he did,” Menuez told Business Insider. 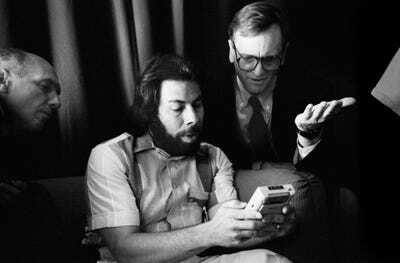 Here, Sculley and Apple cofounder Steve Wozniak check out an early Nintendo Game Boy backstage at a 1991 Apple product announcement. Adobe was another favourite project of Menuez’s. He was there when Photoshop was released in 1990. 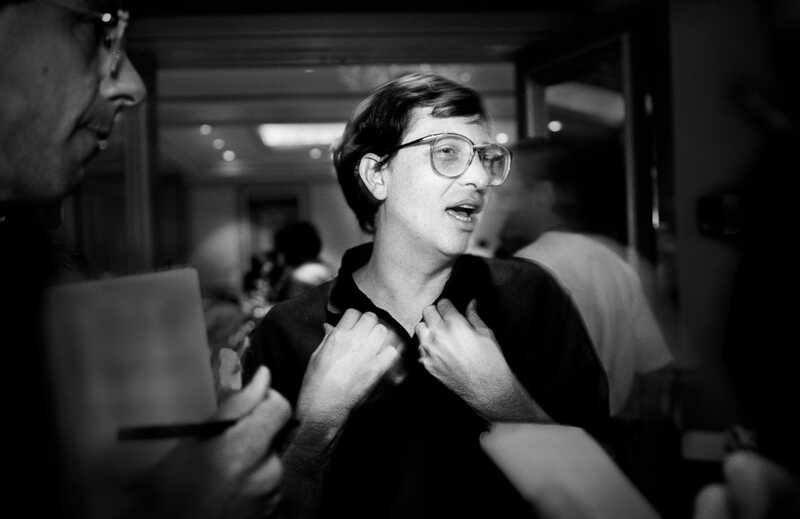 Backstage at the Agenda ’92 conference, Bill Gates debated cheap content and delayed vaporware upgrades to Windows. 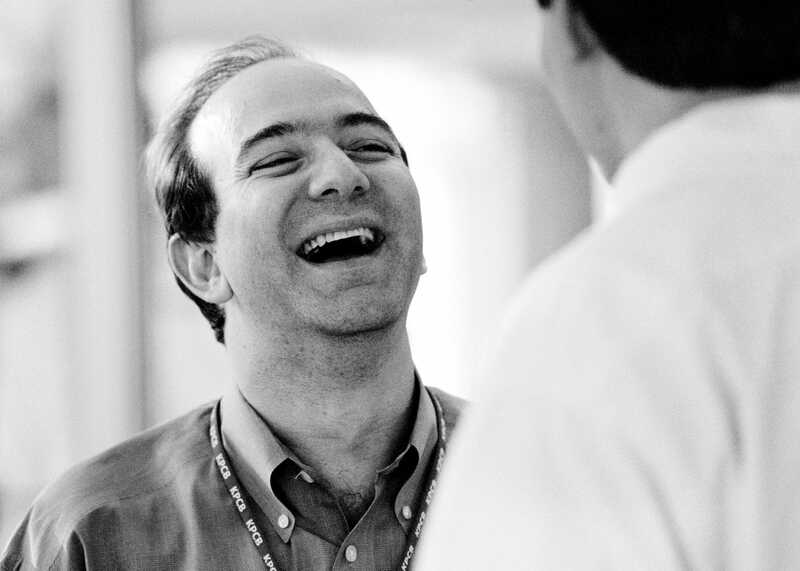 Menuez met Jeff Bezos during Kleiner Perkins’ annual Aspen Summit in 1995. Menuez captured Marc Andreessen and his publicist during a phone interview at the Netscape offices. Menuez had the opportunity to meet many notable figures, but he says it was Jobs who had the biggest impact on his life. Some may wonder why the photos are just being published now, two decades after they were taken. After Menuez had finished his work with NeXT, Jobs decided Life magazine just wasn’t cool anymore. Menuez put the photos away in boxes and completely forgot about them. “By 2000, I had burned out on the topic. There had been this crazy gold rush, and it all just burst,” Menuez said. Stanford later acquired his archives, and Menuez started going back through the notes to help with the scanning process. Those scans would eventually become “Fearless Genius,” which Menuez says is an imperfect history of the Valley at a pivotal time. He hopes to turn the project into a full digital experience, with a documentary, web series, educational program, and conference hopefully on the way.